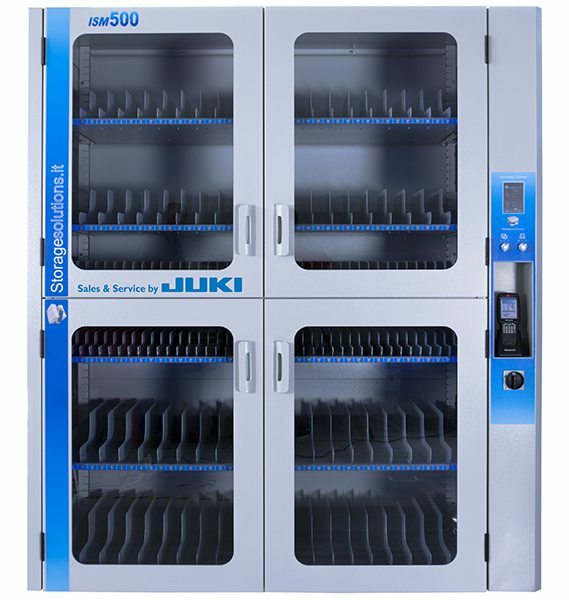 JUKI’s STORAGE SOLUTION offers a range of various intelligent storage solutions for individual component storage requirements. An efficient storage system saves both time and money throughout the whole production process. The ISM 500, JUKIs intelligent dynamic storage solution, has been developed to satisfy the storage needs of the most varied types of components. With the possibility to configure up to 640 different positions, the operator can insert 7″, 13″ and 15″ reels, JEDEC trays, SMT and THT tubes, screen-printing frames and foils, THT components etc. Equipped with three luminous LED signals per position, the dynamic storage system will indicate the exact position of the components to be extracted. The incorrect removal is prevented as the code of each component is read by a PDA scanner. When the stocking phase begins, the operator merely reads the components individual code, leaving the system to do the job of suggesting a fitting position. Regardless, the operator will still have the capacity to act and chose a different position of his own choice. This enables a dynamic positioning management in order to utilise the storage space in the best way possible while reaching maximum capacity. The different configuration possibilities of the ISM 500 fulfil the storage needs of the most varied types of components as well as further operating and consumable resources regarding the modern SMT manufacturing. With the possibility to configure up to 640 different positions the machine can for example store 7“, 13“ or 15“ reels, trays, tubes, printed circuit boards, well-equipped feeder, soldering pastes or screen-printing frames. The ISM 500 is equipped with a humidity control unit, which steers and monitors the internal air flow in order to maintain an internal humidity level of less than 5 %. Hereby it is possible to store all sensitive components correctly. Thanks to the softwares interface the status of each component regarding humidity can be monitored. The system will trace all of the components movements and will automatically calculate the exposure time beyond the limits.  It will also inform the operator in case the maximum time frame is exceeded, while simultaneously blocking the component. The monitored storage system prevents human allocation errors. Each source of error is entirely eliminated, because every material is scanned as well as photographed and therefore verified during import and export with help of a PDA scanner. In addition, the internal systems software can report back at any time to the in-house ERP-system on imported material as well as possible missing parts. All different kinds of material such as reels, tubes, trays, frames etc.